A report into the future of aviation in the South West has painted a bleak picture for the future of Plymouth City Airport. It says that concentrating air services on Exeter and Newquay would be most beneficial for the regional economy as a whole. But the report acknowledges that would not be good for the Plymouth area. The study was carried out by independent consultants Aviasolutions for the Regional Development Agency. The report says plans for a new airport in the South Hams would cost about £89m in public and private money. It concludes that the "preferable" option, in terms of the economy and value for money, would be for Plymouth airport to close, while Exeter and Newquay expand. Plymouth airport is already under threat of closure unless it increases runway safety zones in line with new Civil Aviation Authority (CAA) requirements. British Airways is also to pull out of Gatwick-Plymouth-Newquay services in October. Exeter International Airport's managing director, Geoff Myers, said the report was a vote of confidence in Exeter. He said: "When you think of its natural advantages, its weather record, its excellent access to and from the airport, and with the facilities that we have here, I could not even contemplate that Exeter airport could be closed down." The report recognised that closing Plymouth airport could have a significant impact on the city and make it more difficult to attract inward investment. It is also likely to be very unpopular with passengers and businesses in Plymouth. But Mr Myers said Exeter could fill the gap. He said: "It's always been my view that Plymouth is really not that far from Exeter and people who live in Plymouth can come to this airport. "It's 45 miles along a very good quality dual carriageway and I don't see (the closure of the airport) as being as inhibiting to Plymouth as the consultants have suggested." Sutton Harbour Holdings, which owns Plymouth airport, issued a statement saying it was pleased the report recognised the significant contribution the airport made to the local economy. But the firm said the report was very detailed and it would have to study it further. 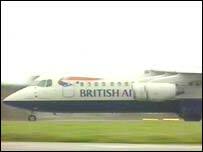 Sutton Harbour has said that is in talks with BA to set up a replacement service at Plymouth after BA pulls out of the service to Gatwick. 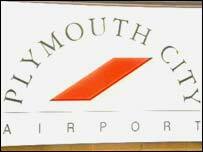 "People who live in Plymouth can come to this airport"